1. Update your website’s layout and content. First, you need to make sure that the look and feel of your website suits the niche of your business. Say, for example, you run an online retail store that carries clothing apparel for teenage girls. Make sure that the design of your website has a light and playful touch. Use pastel colors as the background and make it a point to provide appealing graphics. A dull and business-like website design will give teenage girls the impression that you only sell boring clothes even before they actually browsed through your selections –not good! Another thing that you should give focus on is your website’s content. Just because you’re running an online clothing retail store does not mean that your site shouldn’t contain any useful information. Integrate a blog into your site and fill it up with posts about fashion tips and trends. The best way to decide on what types of content to include into your site, as well as its design, is by studying your target market. Additionally, make sure that the layout of your site is simple so visitors won’t have trouble navigating around the platform. 2. 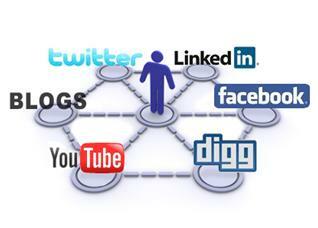 Take advantage of social networking sites. 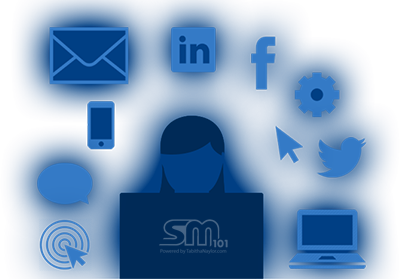 Social media marketing is a very powerful tool which can only be facilitated through social networking sites. Create an account for your business on websites like Twitter and Facebook. These platforms will serve as excellent venues to communicate and interact with your target market on a personal level. It is also through these sites that you can disseminate important announcements such as sales, the launch of new products, and promotions. Additionally, most consumers today find it easier to share information about a certain product or service that they enjoyed when the company has a presence in a social networking site. Make sure that you are active in these sites by always answering inquiries and showing your appreciation when previous customers express their satisfaction. In the same way, you should also make it a point to address grievances voiced through these sites. This will make visitors feel that they will never be on the short end of the deal should they decide to do business with you. 3. Marketing not your cup of tea? Hire a professional! If you feel that your time would be better spent focusing on other aspects of running your business, hire a professional to market your site for you. There are a lot of internet marketing firms (and more popping up daily), so there certainly won’t be a shortage of companies to fulfill your needs. First however, it is important that you look into the portfolio of the company you are thinking of hiring. How many websites do they have under their wing? What type of marketing campaigns have they been able to develop after the website is live? Obtain this information on the front-end and then set up a time to actually discuss your needs in further detail. This will give you a better sense of the company as a whole. You can gauge your comfort level with areas of expertise, how questions are answered, etc. These are all extremely important as it relates to marketing your business. Only once you’ve gone through these steps should you then begin discussions as far as rates and contracts. A word to the wise: don’t jump the gun or you could end up sinking your hard earned money into campaigns that deliver no value. If you’re interested in jump starting your marketing efforts, contact us today for a free consultation. Aggressive Marketing: Effective or Not? Just How Should Landing Pages Be Crafted?